What images do truffles conjure in your minds? Fungi worth their weight in diamonds? Trained pigs working through the soft soils of coniferous forest to uncover these delicate morsels of pure delight? Black, moody mushroom with a smell that reminded you of your army boots? Whatever they are, you either love it or hate it – no two ways about this. For those that love truffles, one hunts high and low for different restaurant experiences to find out how many ways can you perform miracles with these magic mushrooms. Truffle Gourmet at 49 Club Street is the latest shop in Singapore that specialises in truffles-realted Italian cuisine, with an all-truffles (well, not all) menu. A quick run-through of the menu saw only 3 items without truffles in them, and upon asking you can actually asked for them to be added if you desired so. 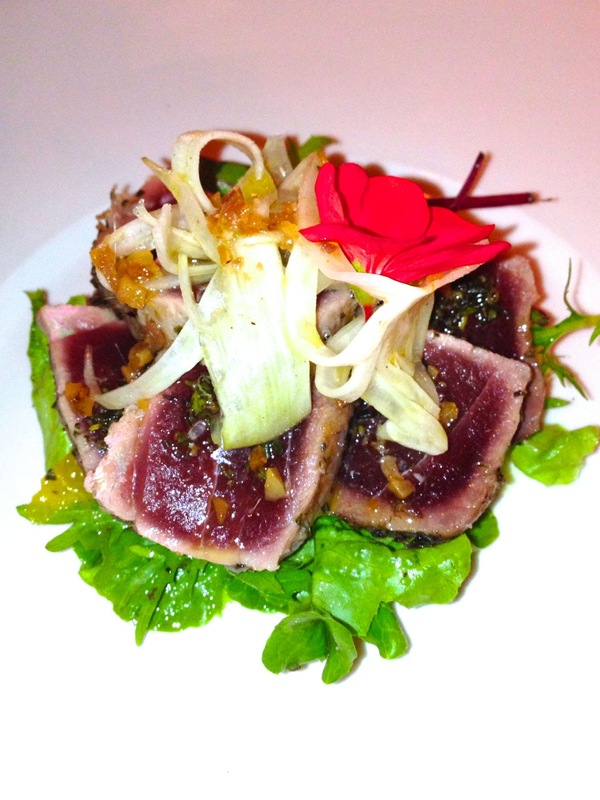 Chef Takahashi Okuno manned the fort while Mrs Takahashi ran the service at the bistro bar outside. And Felix Chong, the Chef de Cuisine, ran the evening service in the main dining room. 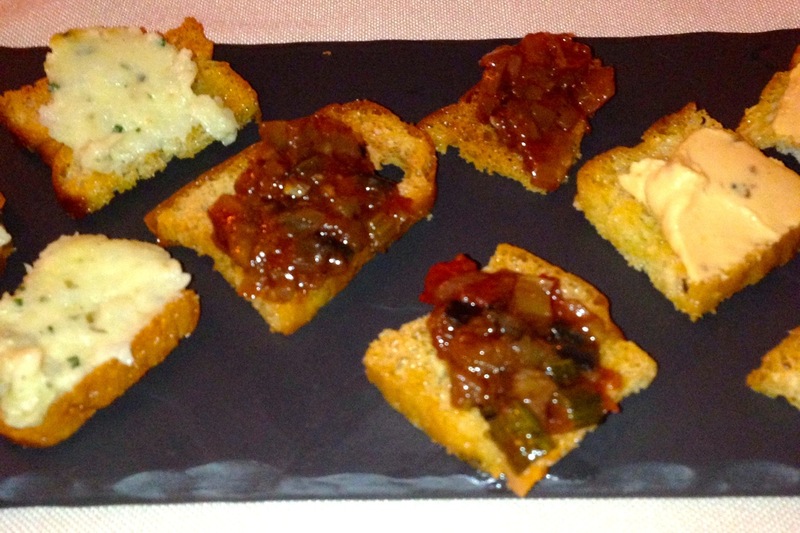 The amuse bouche set the stage for what we expected to come later – crusty toasts with truffled butter, caramelised onions and sun-ripe tomatoes with truffle oils, cheese with truffles, and freshly prepared pesto with truffled olive oil. Yes, truffles’ the name of the game in this joint. The pesto was quite refreshing, but I preferred mine a little more chilled. 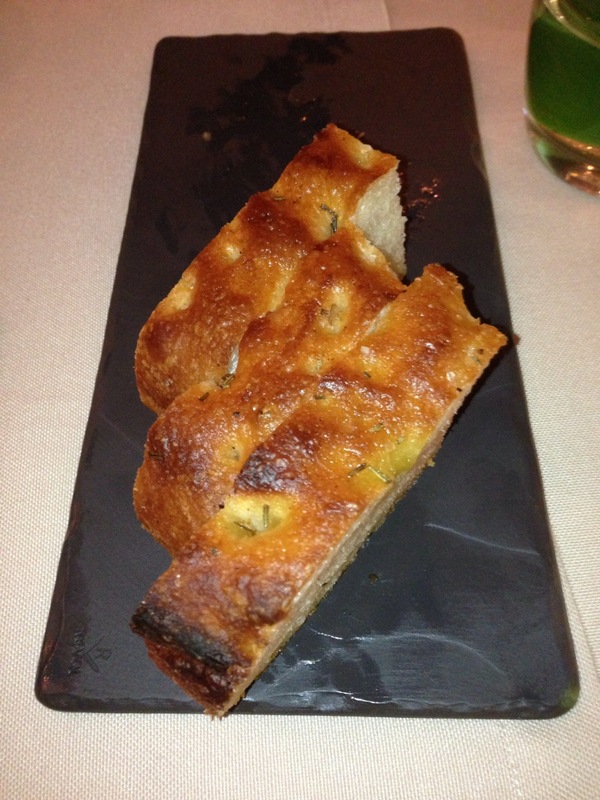 Of course any proud Italian chef would frowned on that request, but here’s Singapore where room temperature is not 20 deg C.
To eat the pesto, we had freshly baked foccacia with rosemary and olive oil (non-truffled). It so good that you can eat it on its own. 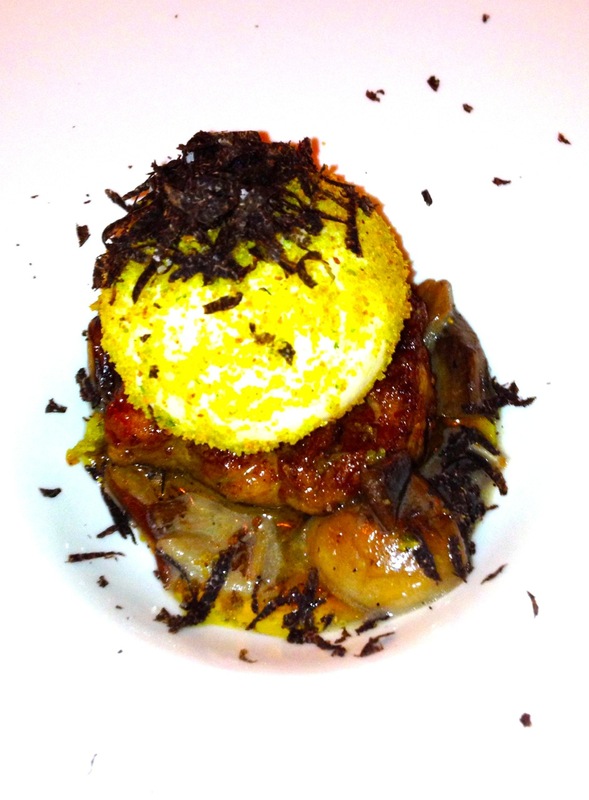 First up, Uovo Fritto con Foie Gras – Breaded and fried half cooked eft with mushrooms, foie gras and shade black truffle. Here’s the mystery – how do you bread and fry the egg without coagulating the york? What you got here was a runny egg yolk with a fried egg white on top of pan seared foie gras. Caramelised onions and mushrooms finished the composition of this dish. Everything was held together with truffle. Highly recommended. 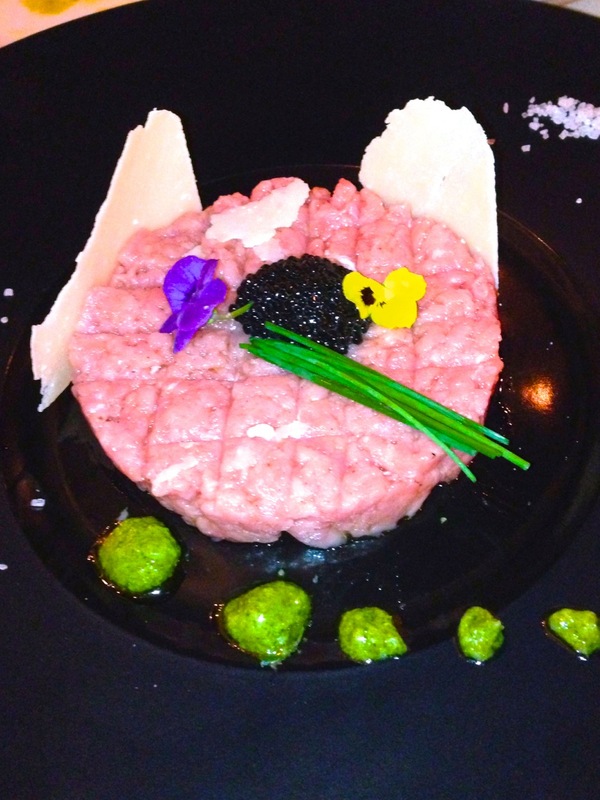 Next, Battuta di Vitello – seasoned Veal tartare with hand-selected truffle caviar. Freshly chopped veal tartare seasoned with sea salt and topped with a liberal scoop of caviar, the highlight was the parmesan cheese that was added for the garnish as well as a texture to the dish. One thing that I was perplexed, the flowers petals were not edible. I was not sure if any fine dining cook would risk their reputations by putting something that cannot be eaten on the plate, although it was common for Chinese chefs to add garnish for pure ornamental purpose. As our selection for fresh oysters with truffle caviar was not available, we took Felix’s recommendation to try their Catalana di Tonno (available for a limited time only) – which is bluefin tuna from Italy, lightly seared not he outer crust served on a bed of rockets and greens, and fizzled with the optional truffle olive oil (the original came with the traditional EVOL). The bluefin tuna was not exactly sashimi grade, nor was it otoro/chutoro grade but with the technique used, it was seared just enough to retain the raw tuna sashimi yet gave the fish an added dimension of smokiness. Nevertheless it worked perfectly in this dish with the tangy fruit-based sauce that complemented with the bitter rockets. Again, the strange looking flowers were used. Picking from the seasonal menu (which consisted of 3 lobster inspired dishes), we ordered another starter, Lobster Confit with Truffle Caviar. 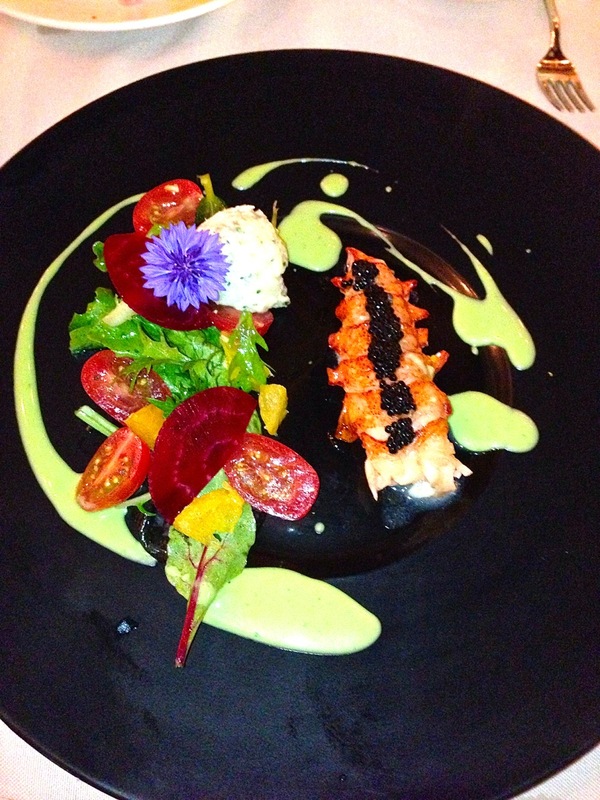 A lightly poached piece of rock lobster with truffle caviar (OK, I finally knew that the caviar can be bought home.) with a simple salad on the side. Obviously this creation had not been evolved as much as the rest, and keep its simple nature featuring the freshness of the seafood. 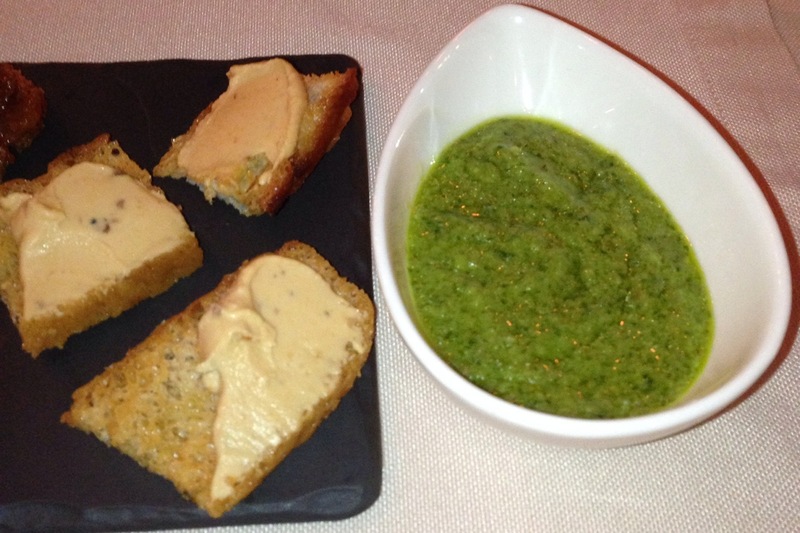 The green cheese-based sauce was the tour de force for holding the dish together. 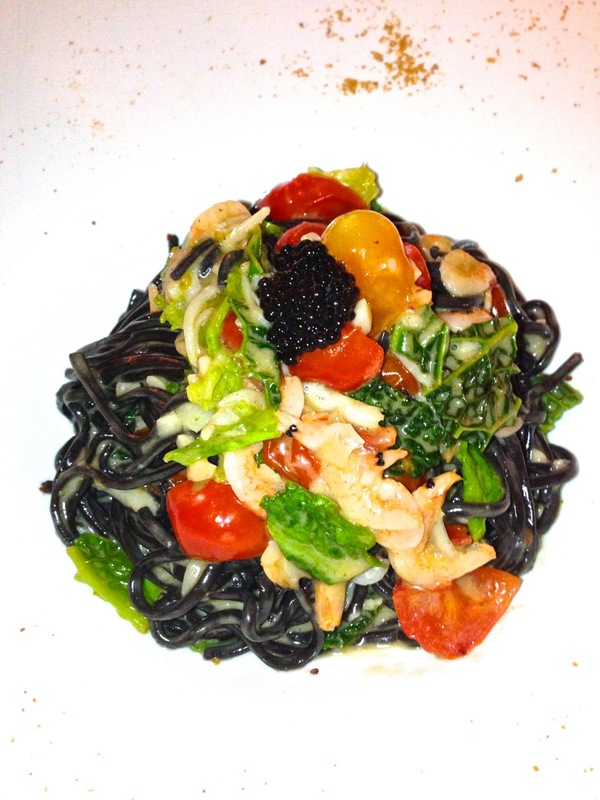 For our first Primi Piatto (main course), we had Tagliomini Aglio e Olio al Nero de Seppia – Long squid ink pasta with chilli, garlic, baby shrimp, whitebait and truffle caviar. One word – delicious. Very complex, with many tastes and textures working together at the same time. You get the crunch from the salad and whitebait, al dente pasta with a creamy sauce that had a hint of heat from the chilli, not too much since my little princess could handle. Its the first time that I saw my princess finished all her greens in the plate for quite some time. And since she did not offer to share the pasta with us, I could only conclude it had passed the royal test. 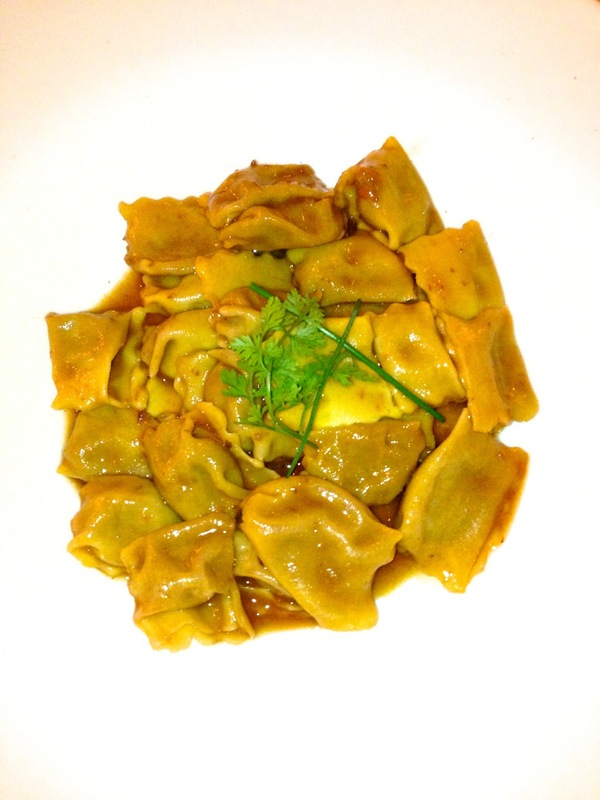 For our second Primi Piatto, we ordered Plin Agnolotti – homemade beef ravioli served with beef reduction sauce and sprinkled with truffle oil and black truffle cream. This was my favourite dish of the evening. Flavourful minced beef stuffed in ravioli, slightly overcooked and served with a hefty portion of beef reduction. It was like Bouvril infused beef wantons. Brought back the good old days when we had Bouvril soup. I would definitely order this when I visit again. Everyone at the table enjoyed it so much that it was gobbled down before ti had the chance to turn cold. For the Secondi Piatti, Felix recommended the Tagliata di Maiale Iberico Pluma – grilled Iberian pork served on a bed of sautéed potatoes, onions, peas, Marsala sauce and black truffle. I had Iberico ham, but not the pork itself. The collar-neck portion was tender and juicy, unlike the usual pork chops. Chargrilled to the right doneness, it was topped with caramelised onions (one of the things that Chef Takahashi used quite a fare bit.) and sprinkled with fresh truffle. Didn’t taste the Marsala, but was not fan of it in the first place. 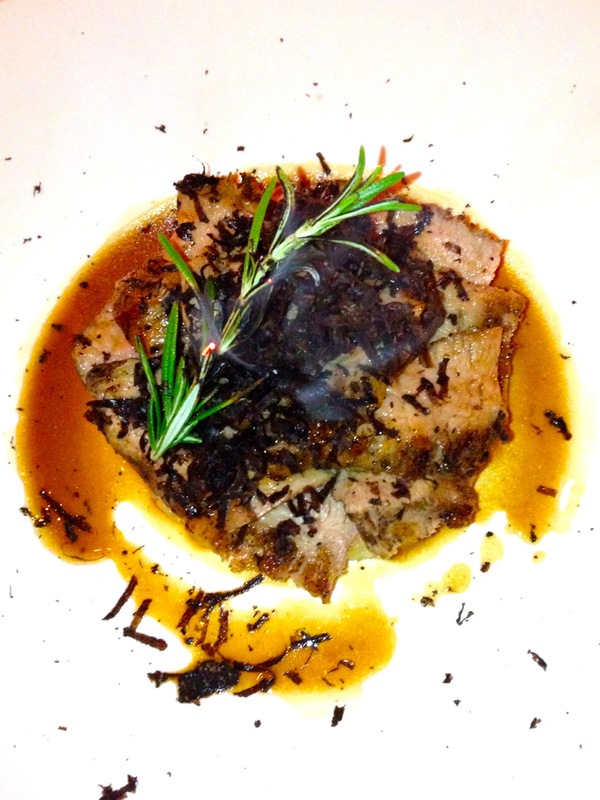 Yes, the rosemary was flaming when served and slightly smoked the meat with the fragrant spice. But do remember to remove the burnt branch before eating the rest. 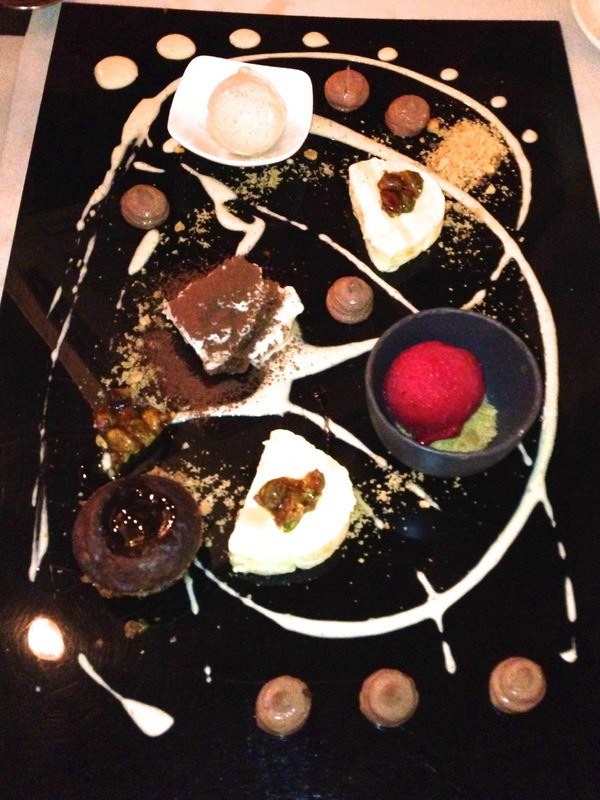 And since Felix had given us very good recommendations so far, we trusted him with arranging our desserts. (I suspected that they were still struggling to come up with a dessert menu, so decided to go with a tasting menu instead.) The dish consisted of several parts – truffle chocolates, a warm chocolate brownie with molten centre, a couple of sorbet for acidity, tiramisu, cheese cake, and finally sprinkled with crushed caramelised sugar and creme fraiche. While I was sure it was house-made, but it felt like an assembly of supermarket items creatively placed on an acrylic sheet. Remember it had a bar at the first 1/3 of the restaurant. 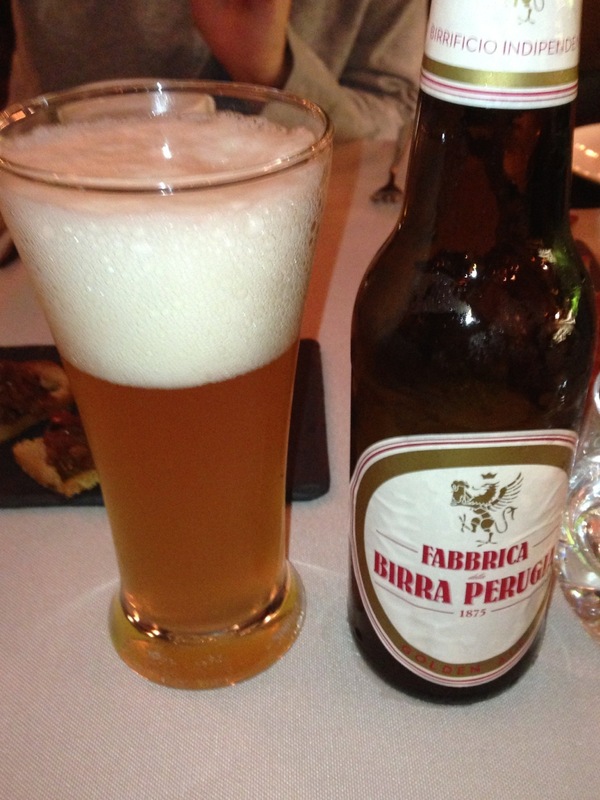 So it had a decent selection of wine, and a couple of Italian favourites (like limoncello) and of douse Perugia beer. 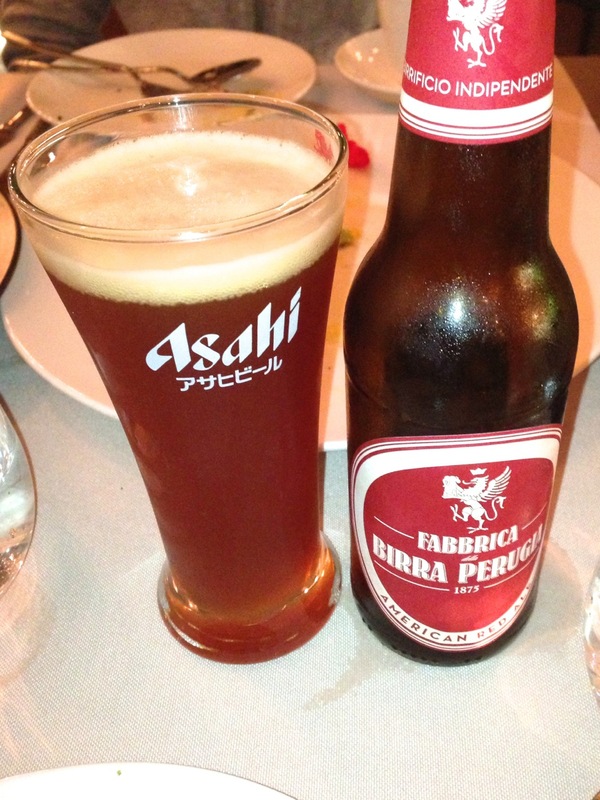 Not a fan, but the earthy beer was definitely better than Tiger. When for me, a lot of beer tasted better than Tiger. The main dining area consisted of mainly 4-seaters, with a private function area (not room, because not enclosed by walls, only curtains) for 8-10 pax. 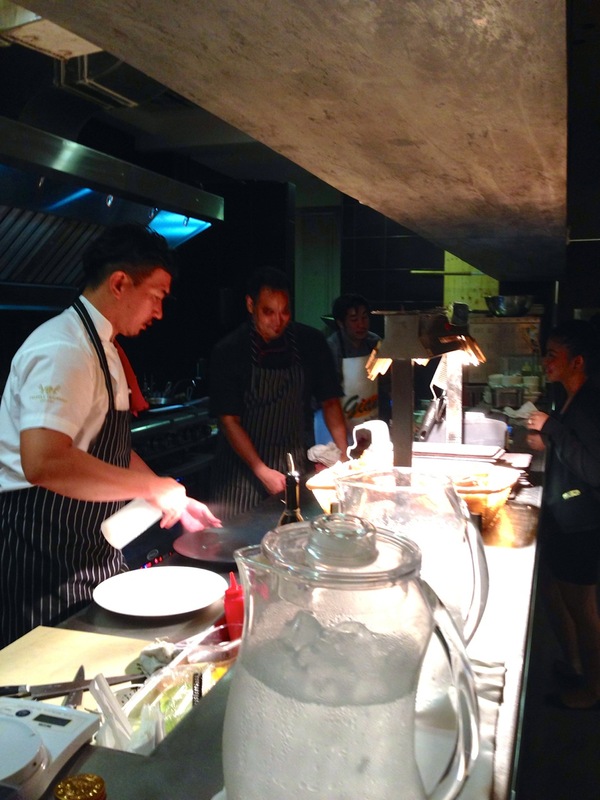 Chef Takahashi can been seen hard at work inside the open kitchen. Surprisingly, the grease and smoke from the kitchen did not permeate into the main dining area. And the exterior and front of the restaurant was a bistro-bar concept, with tasting menu (finger food) to go with your alcohol. 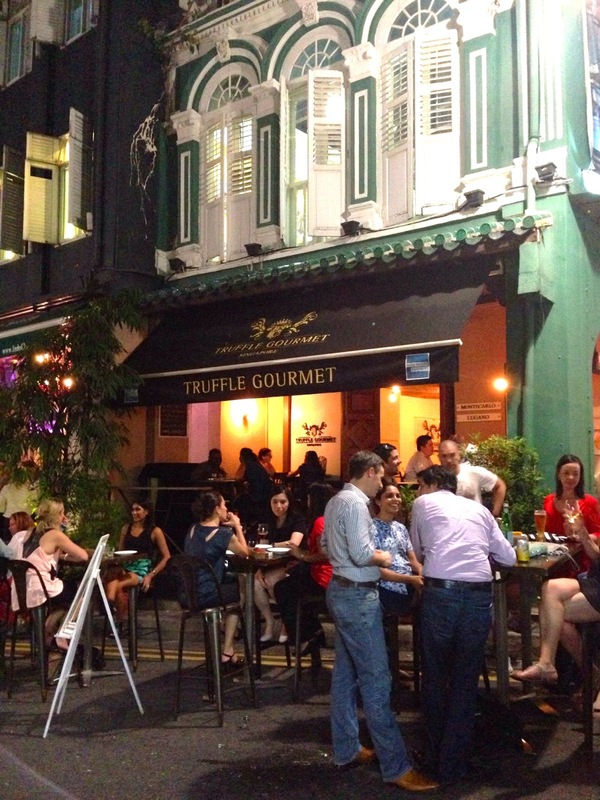 Club Street came alive after 9pm, and became a pedestrian street with all the pub goers spilling onto the road. You would never suspect that this is Singapore given the cosmopolitan crowd, except when the severe humidity of our little island hit you straight. The service staff was quite new, except for maybe Felic and another waiter that were experience, I eyewitnesses the young waitress struggling to open a bottle of wine using her bartender corkscrew. 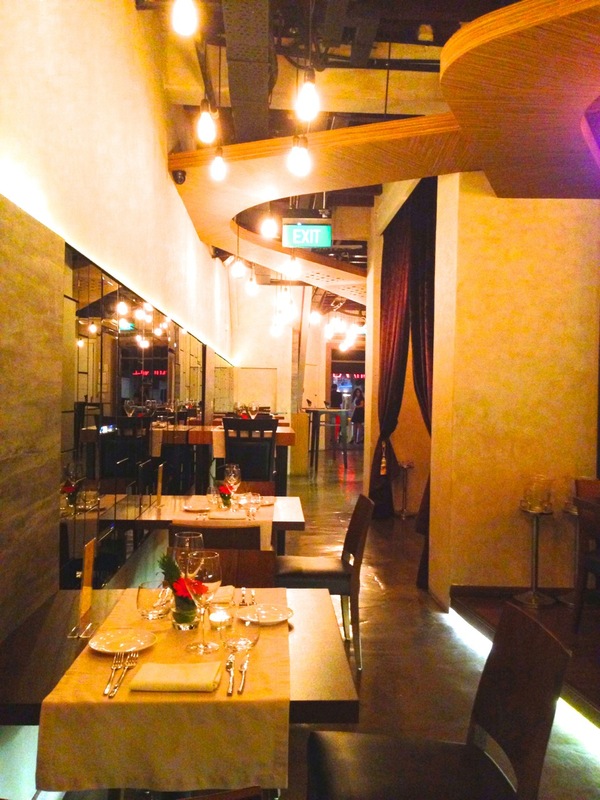 Food was fantastic, and the ambiance was sophisticated. Around $100 per pax (excluding drinks).